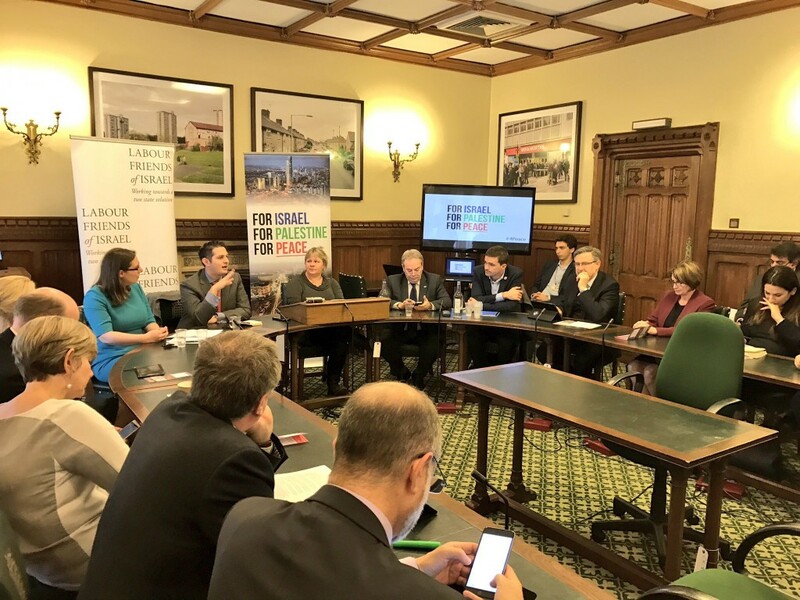 This afternoon in Parliament, LFI launched its new campaign to increase funding of coexistence projects entitled ‘For Israel, For Palestine, For Peace’. The campaign aims to persuade the British government to support the creation of an International Fund for Israeli-Palestinian Peace; a fund designed by the Alliance for Middle East Peace to boost spending on coexistence work. The Parliamentary Launch was packed out with MPs, Peers, supporters and activists who heard first hand why supporting coexistence is so important. Chaired by Jennifer Gerber, LFI Director, the event welcomed Ian Lucas MP, LFI Parliamentary Supporter and ex Shadow Middle East Minister, Joel Braunold, Executive Director of the Alliance for Middle East Peace, John Lyndon, Executive Director OneVoice Europe and Toni Rickenback, Director UK Task Force on issues relating to Arab citizens of Israel to the House of Commons. We also welcomed, via video link, Haim Erlich and an Israeli and Palestinian project participant from Middle East Entrepreneurs of Tomorrow (MEET) who spoke about their direct experience of co-existence work. Currently, Britain’s international development spending on coexistence is pitiful, so we want to see the government increase it from the current level of approximately £150,000 to £1.35m – this is a rough approximation of the UK’s share of the $50m that Europe would be expected to contribute to the fund. The other three-quarters would come from the US, the rest of the international community (including the Arab world), and private foundations and individuals. “LFI has always been an advocate of co-existence work and that is why we are delighted to launch our campaign for an International Fund for Israeli-Palestinian Peace. Projects that bring ordinary Israelis and Palestinians together are absolutely essential for a lasting peace in the middle east, and we in Britain must do everything we can to support them.